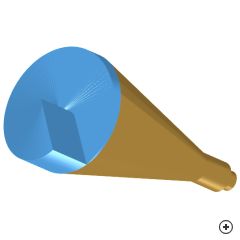 Image of the Spiral phase plate (SPP) Potter horn. Horn antennas are often used in direction finding (DF) applications where a sum and difference pattern is required. 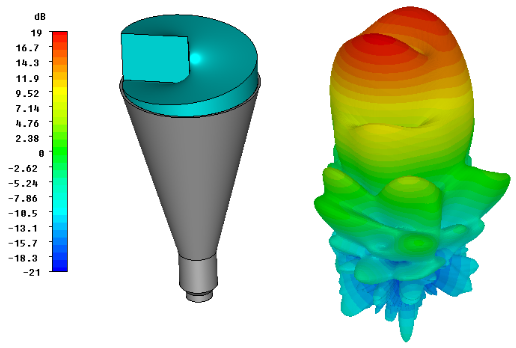 The difference pattern is created by adjusting the phasing of four horn antennas by using a monopulse feed network. The dielectric spiral phase plate (SPP) creates the difference pattern without such a feed network by making use of a modified potter horn. The dielectric cylindrical spiral phase plate is designed to produce a 180 degree phase difference (phase delay) between any two points that are radially opposite one another. 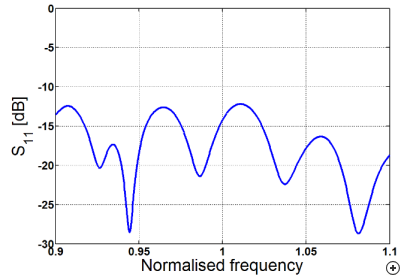 This delay is dependent on the azimuthal angle, the refractive indices of the dielectric material and surrounding space (air in this case), as well as the height of the step discontinuity of the phase plate. 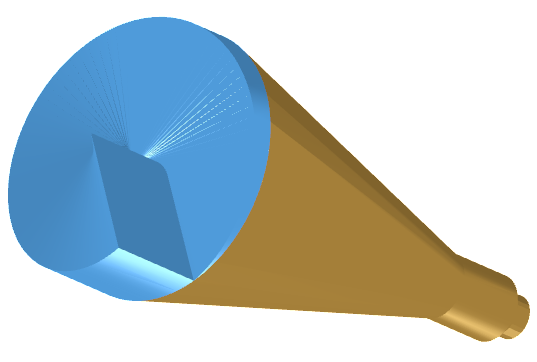 The combination of the aperture illumination and the SPP produces a spatial phase reversal across half of the antenna aperture. The result is a helical wave-front which translates into a null in the far field radiation pattern. 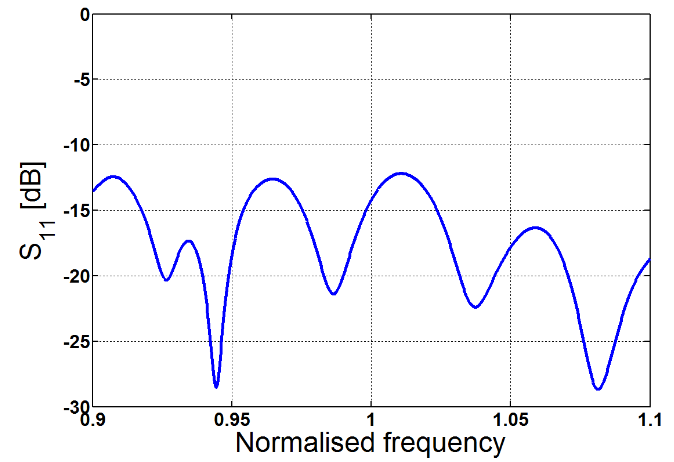 Typical radiation pattern at the centre frequency.